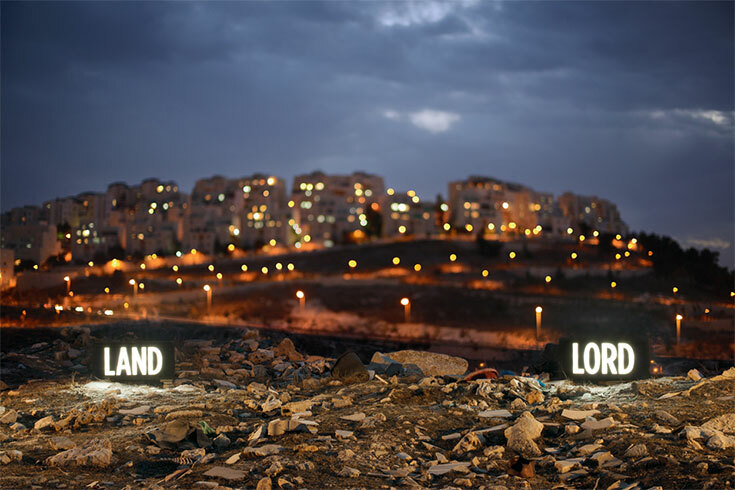 The Schusterman Center hosts Israeli artists and art historians who illuminate the contemporary cultural environment in Israel. Shimon Attie returned to Brandeis for a residency that engaged questions of memory, place and identity. His artwork, recognized with a Guggenheim Fellowship and the Rome Prize, gives visual form to personal and collective memories, histories of marginalized and forgotten communities, and physical landscape. Artist talks took place February 26 & 27 and March 26. Learn more about the residency. 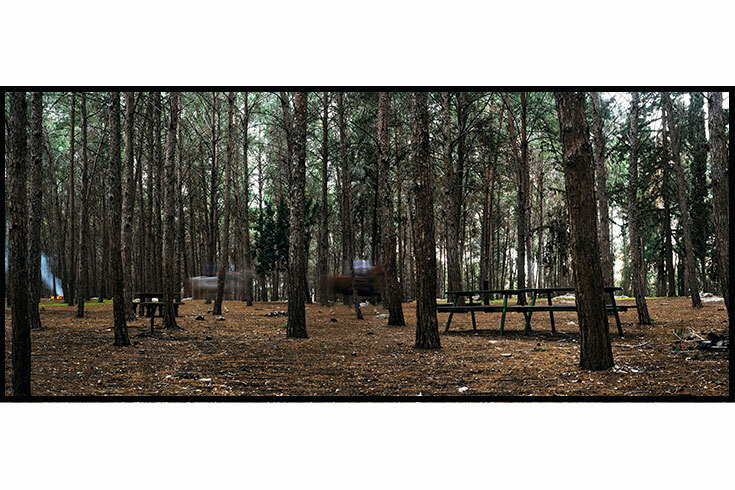 100 Steps to the Mediterranean, a solo exhibition of photography and video installations by one of the most compelling emerging artists in the Middle East opened at The Rose Art Museum on September 20 through December 9. An illustrated catalog was launched on October 30 at the Rose in conjunction with a public talk by the artist. Academic programs on campus included workshops on social justice and a panel discussion, “Exposures: Photography and the Politics of Looking," on October 31. Learn more about the artist. 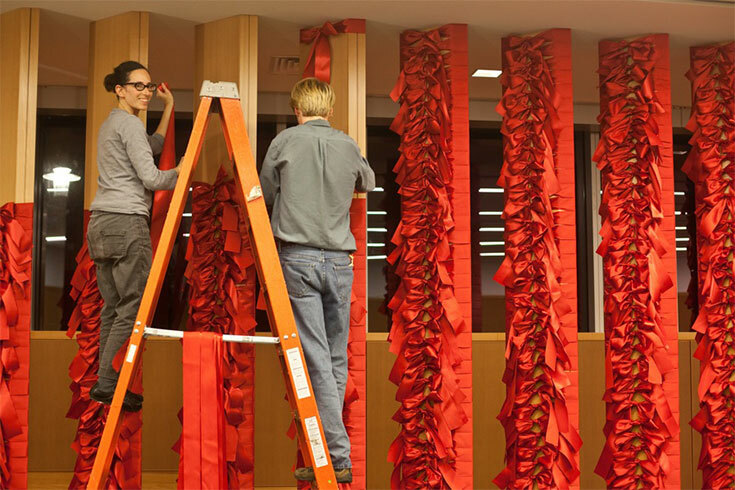 In honor of the Center dedication on November 10, 2010, and assisted by Brandeis students, Nelly created a symbolic performative installation composed entirely of red satin ribbons. This work offered an artistic alternative to the traditional "cutting of the ribbon" ceremony, as well as a celebratory gesture of gratitude for the gift of art. Additional works by Agassi, along with a selection of contemporary Israeli photography and video art, are on display at the Center. 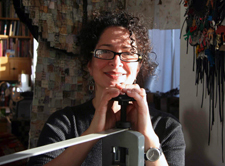 Co-sponsored with Hadassah-Brandeis Institute, Israeli/American artist Andi Arnovitz arrived at Brandeis in February 2010 to address our doctoral students on the dissonance between halacha (Jewish law) and modernity. She created a studio art workshop on using textiles in journaling with HBI students. Based on research and interactions with the university community, Arnovitz will make sketches of coats that honor such women as Deborah the prophetess, Dona Gracia Nasi, Naomi Shemer, and Ruth Bader Ginsburg. She will use these sketches to create three-dimensional versions upon her return to Israel.